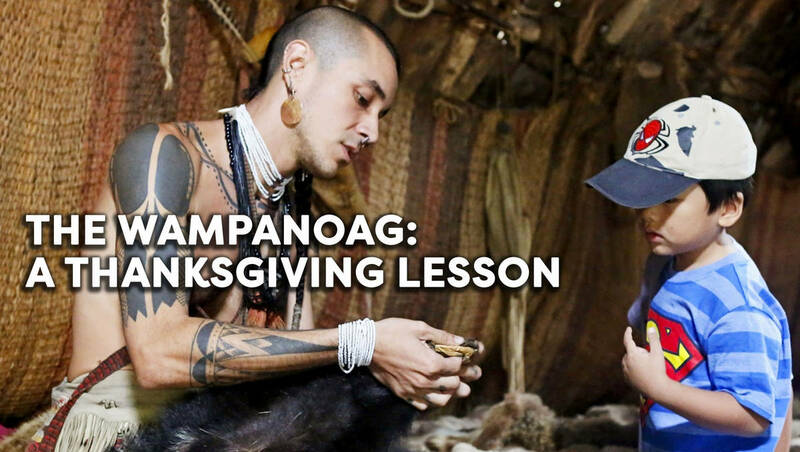 This worksheet is to be used in conjunction with the Wampanoag Thanksgiving lesson plan. It reviews facts about the American Indians at the center of the Thanksgiving holiday. This is a great way to introduce students to the history of Thanksgiving, as well as American Indian history. Plimoth Plantation has created a website about the Wampanoag, including their current culture and history. Let’s look at a few pages from this site in order to learn more about what Thanksgiving means to the Native People. Use the information you find on the site to answer the following questions. 11) Name two foods the Wampanoag ate that you've never eaten.